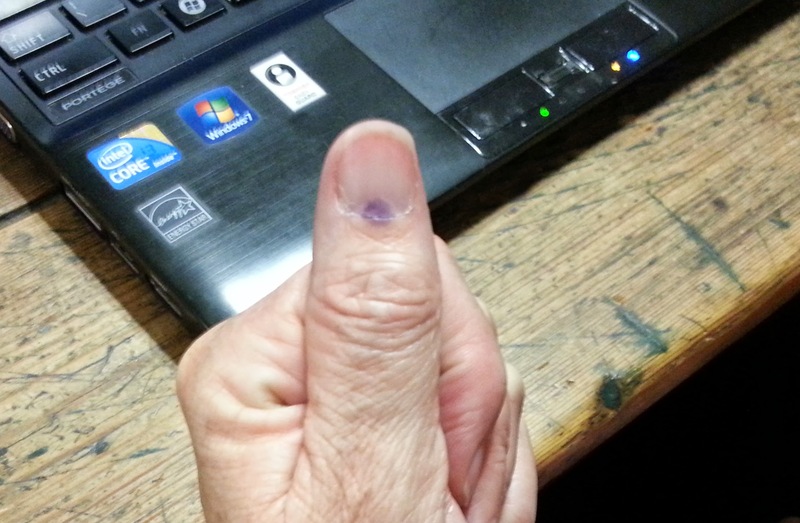 South Africans go to the polls, get inked and (nowadays) post the pic online. Here’s mine on another miraculous voting day. This entry was posted in One Beautiful Thing. Bookmark the permalink.